“God” a source of unparalleled power, the infinity of being and most importantly, a word that fills the heart with confidence to take the leap of faith. 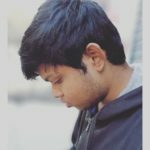 Human psychology tells us that most people tend to believe in some sort of supernatural power that channels our spiritual senses to believe in that one all mighty whose spiritual presence guides us through our ups and downs. Be it religious faith or footballing madness, our prayers have always gone out to the all mighty during tough times and gratitude when it has been merry. In the footballing fraternity, the term “God” has always been related to a human figure possessing heavenly artistry over the football making the world bow down to their feet. A tag that has shuttled in between Pele and Diego Maradona in the 1900s and most recently between Cristiano Ronaldo and Lionel Messi, it is their ability to do the unimaginable with the ball at their feet that separates them from the mortals. When you are looking at the category of Premier League’s most elite goalscorers, names like Thierry Henry, Alan Shearer, Ian Wright, Didier Drogba and Wayne Rooney are at the threshold of the group. For these are the players for whom the back of the net was their own backyard which they found more often than not. Quick, good in the air and a hammer of a shot, these brilliant front men possessed all the attributes that a seasoned striker needs to make it big in the Premier League. Today we focus on another player who created his own legacy in the Premier League in the red half of Merseyside. Liverpool football club have had a history of gifted number nines who have often made the Kop sing and dance to their nimble feet and calm finishes past helpless goalkeepers. From Ian Rush to Fernando Torres and you can go on and on and on. In spite of all the big names, the Kop chose one bleach blonde from Toxteth and baptized him with the elusive name of “God”. 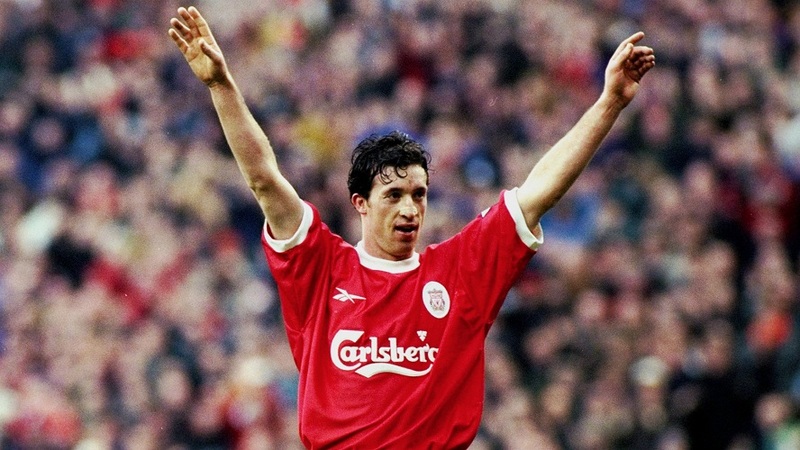 Yes, we are talking about Robbie Fowler for he stands as the first of many who had changed the doubters of Liverpool into believers. It’s August 1994 and the sun shines brightly over the Anfield pitch although the faces of the Anfield faithful look gloomy as they make their way into the stands eagerly waiting for their beloved Liverpool football club to take on Arsenal. Playing Arsenal was tough but scoring against them was next to impossible with a mountain of a defense and an equally good custodian in David Seaman. While most of the crowd lining up at the Kop end walked into the stadium as doubters, this was going to be one afternoon that changed them into believers. 26 minutes past kick off and Arsenal were slowly gathering momentum on their way to dominate the game when Liverpool were awarded a free kick. Martin Keown and Tony Adams never looked to get their markings wrong until that day. Jamie Redknapp’s whipped ball found Ian Rush as Keown failed to head the ball clear. Rush’s cushioned header met the colossus big left boot of Robbie Fowler who just couldn’t miss from point-blank range. Liverpool were ahead and Fowler had announced himself in the big stage and little did the Arsenal defense know that he had only begun. The following four minutes and thirty-three seconds were possibly the worst few minutes for each member of that experienced Arsenal back line as Fowler sent them to lunch with every stride he took towards David Seaman’s goal. Two minutes later, Steve McManaman gathered the ball in the midfield and ran towards a retreating Arsenal back line, as Liverpool went onto launch another counter-attack. While Lee Dixon was drawn out from his usual right-back position to cover up for Tony Adams, Macca found Robbie storming into the vacant space left by Lee Dixon, a perfectly waited pass and Fowler killed the ball beyond Seaman and into the Arsenal goal for Liverpool’s second. The travelling Gunners were left shell shocked as chants of “Toxteth Terror” rang all over Anfield. 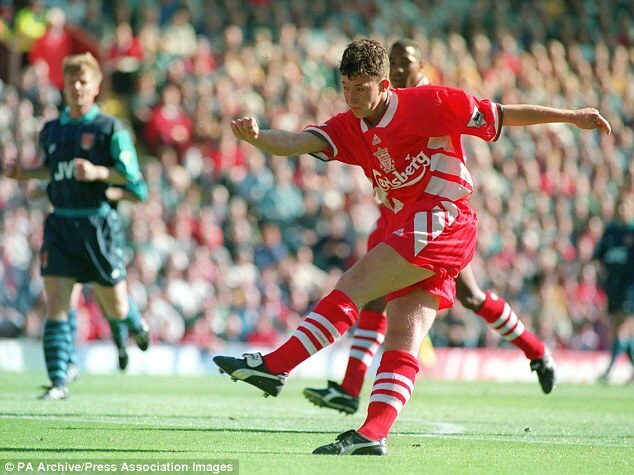 A lofted ball from Barnes found Robbie Fowler again who danced past Tony Adams leaving him on his knees. Seaman’s frantic efforts saved Robbie’s first attempt but his composure to gather the leftovers and finish it beyond a diving Martin Keown spoke volumes about Robbie’s talent. At the tender age of nineteen, Robbie Fowler not only scored the fastest hat-trick of that era but also proved his critics wrong by justifying his selection in the starting lineup alongside Ian Rush. It wasn’t the raw pace or the powerful left boot but it was the intelligence behind the timing of each run that separated Robbie Fowler from his peers. “We all knew how good Robbie was but after that hat-trick, everyone else took notice as well. For a player so young to do that against Arsenal was incredible; at that time, if you scored once against them you didn’t score two and three. But Robbie did, and in no time at all. He announced his arrival to the Premier League that day”. For Robbie, goal scoring came naturally and all of his flair and finesse amplified on the bigger stage. The 1995/96 season saw Fowler scale new heights as the Toxteth born striker notched 30 goals throughout the season, a feat he would replicate in the following two seasons. Fowler’s versatility had no bounds. He even terrorized Manchester United in 95/96 when he netted a brace twice across the two fixtures in the Premier League. The most famous being the deft chip over a desperate Peter Schmeichel at Old Trafford. The meteoric rise of Michael Owen in the late 1990s and the controversial goal-line sniffing celebration meant Fowler’s days were numbered at Liverpool. Although Fowler left Anfield to join Northern rivals Leeds United and Manchester City, later on, his love affair with Liverpool continued as Fowler celebrated the Manchester derby victory with the iconic “five times” celebration. A change of guard in Liverpool meant a change in the transfer policy and new manager Rafael Benitez was quick to bring in Liverpool’s prodigal son back home. 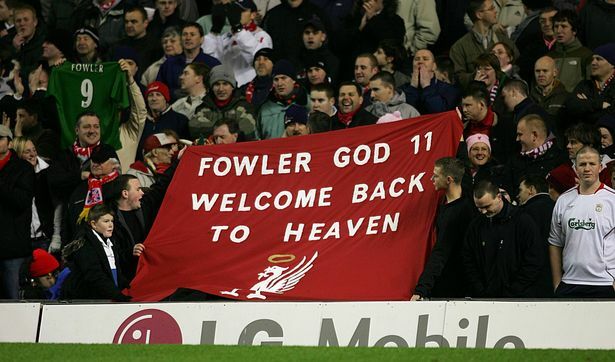 Fowler’s return to Anfield meant that “God” had once again descended in Liverpool red. ‘God – number eleven, welcome back to heaven’. It was quite evident, Fowler’s legacy never really left Anfield for there couldn’t be a warmer welcome when Robbie was unveiled as a Liverpool signing especially when he left to join Liverpool’s rivals. If it was someone else, getting slated would have been inevitable but this was Robbie Fowler, the “Toxteth Terror” and the “God of Merseyside”. Pilgrims go everywhere and anywhere to find solace and get blessings from their all mighty but for the Liverpool faithful, they had seen “God” and he wore number 9.